Here at Advanced Handling & Storage Ltd we can help you with all aspects of pallet racking safety. 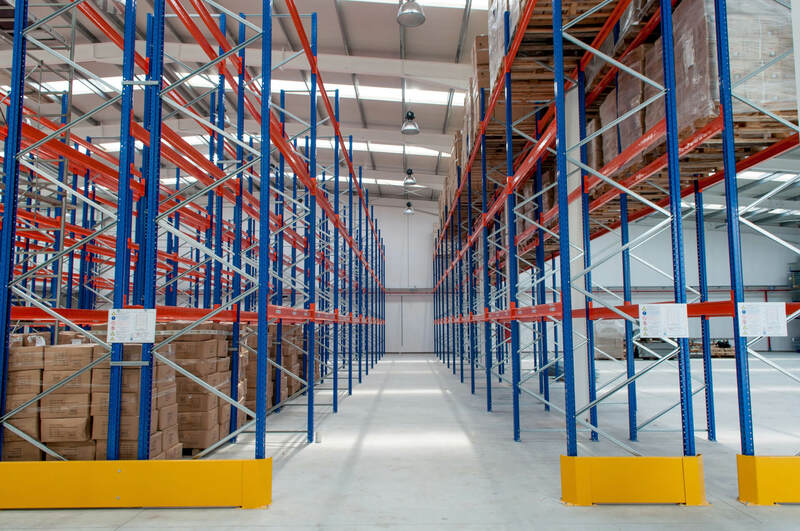 We are able to provide a thorough pallet racking inspection service which will be completed by an independent SEMA approved racking inspector. What is a pallet racking safety inspection? A pallet racking safety inspection (also commonly known as a rack damage survey) is a thorough assessment of the condition and quality of your warehouse pallet racking system. These assessments can also be carried out on mezzanine floors, shelving and any other storage systems that may be at risk of damage due to the use of a forklift truck or alternative material handling equipment that may be used within your daily operations. The inspection will assess not only where the damage that is identifiable but also where there is a risk of future damage to the pallet racking system. The report uses a traffic light coding system that will help you easily understand the various levels of risk. Why should you have a pallet racking inspection? Under current legislation, The Health and Safety At Work Act 1974 and the PUWER Regulations requires that if you use pallet racking (or any other storage system) , then it will lawfully require regular inspections by a technically competent person for example a SEMA Approved Racking Inspector (SARI). This is advised to be done on a 12 month basis. Participating in periodic safety checks not only makes good business sense but should also be considered a critical aspect of successful warehouse management. Regular pallet racking safety inspections can help reduce insurance premiums and overall maintenance costs. Insurance companies are increasingly insistent on businesses participating in such safety audits and failure in maintaining and evidencing regular safety inspections could therefore affect the result of an insurance claim should one be made. The Pallet Racking People can offer a fast and efficient pallet racking inspection service to all businesses throughout the UK. The inspection is backed up with a detailed analytic report including drawings which offers not only a personal service but one that ensures all our clients that they are working with a quality and professional organisation. Unlike other pallet racking safety inspection services within the UK, The Pallet Racking People will also offer a full repair service; offering free no obligation quotations at the most competitive prices – contact us now for further information on our pallet racking safety inspection service. Call our experts on 0800 345 7088 or send an email to sales@advanced-handling.co.uk.